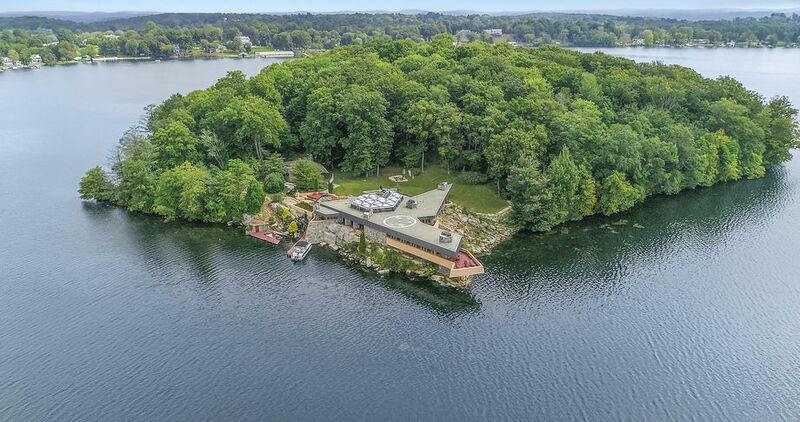 A heart-shaped private island 50 miles north of New York City is back on the market, this time for $12.9M. 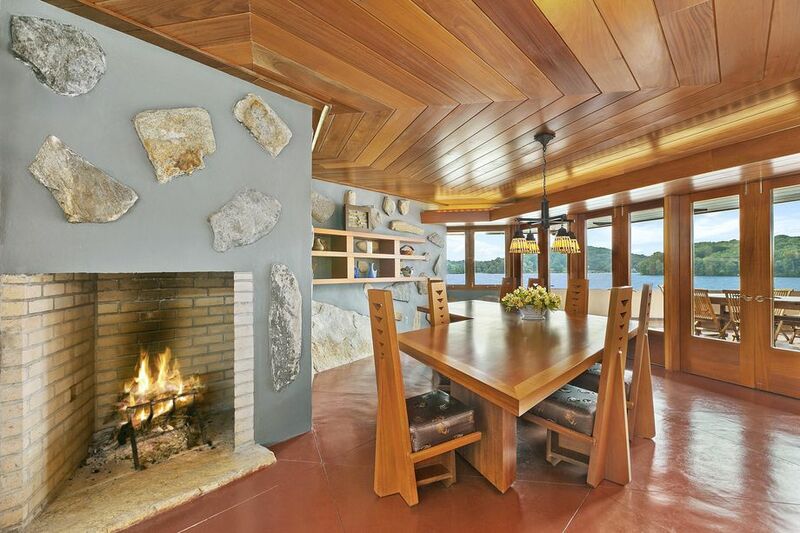 Called Petra Island (also called Petre Island), the property boasts two homes designed by Frank Lloyd Wright, but the 10-acre listing has been mired in controversy. In 1949, the engineer Ahmed Chahroudi purchased the island and commissioned Wright to design a residence. 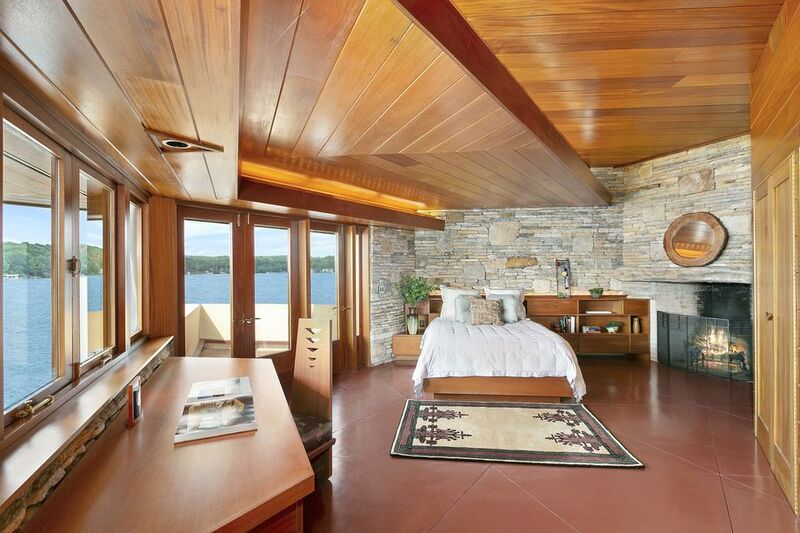 Wright originally designed a sprawling 5,000-square-foot structure for the island, but when the owner realized he couldn’t afford the project, Wright was forced to build a smaller 1,200-square-foot cottage instead. Many years later, Petra’s new owner, John Massaro, decided to bring Wright’s original plans to life based on a handful of drawings, floorplans, and other documents that came with the property. 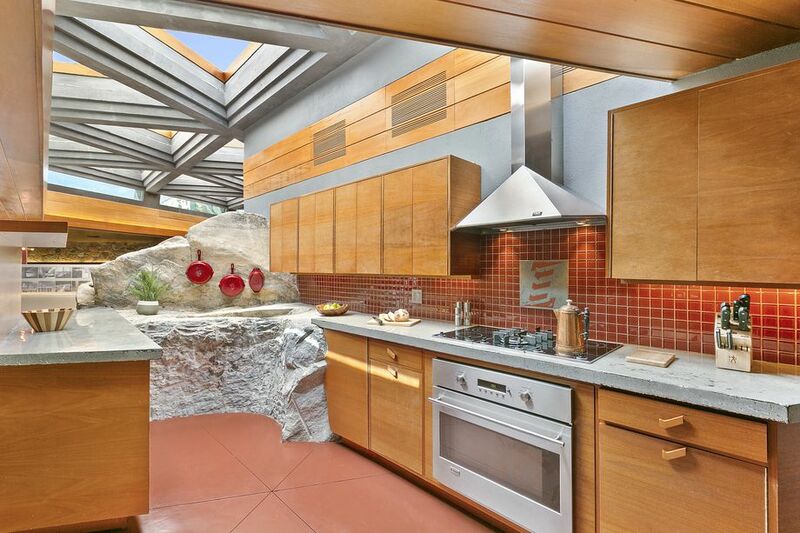 He enlisted an architect and Wright scholar to complete the massive home around 2007, but the Frank Lloyd Wright Foundation has refused to recognize it as an authentic Wright design. 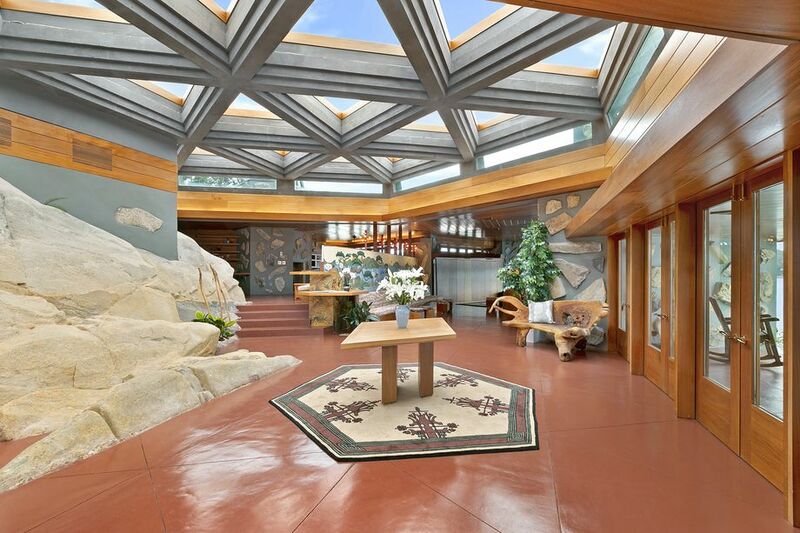 The home has been off-and-on the market for years, and despite the controversy, Wright’s influence is clear. Broad, horizontal planes mark the design, and the home features geometric woodwork, built-in furniture, and an integration with its natural site. 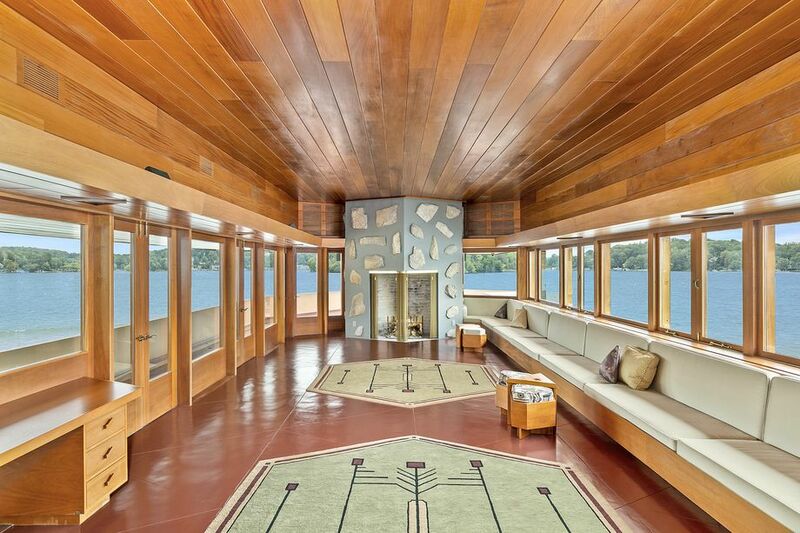 The cantilevered building sits on Lake Mahopac, and is believed to be the largest home Wright ever designed—almost doubling the 15-foot cantilevers of Fallingwater. Other perks include a helipad, dock, and beach, all accessible by helicopter or a five-minute boat ride from the mainland. Interested in a Wright-inspired paradise? 1 Petre Island is on the market now for $12,900,000.